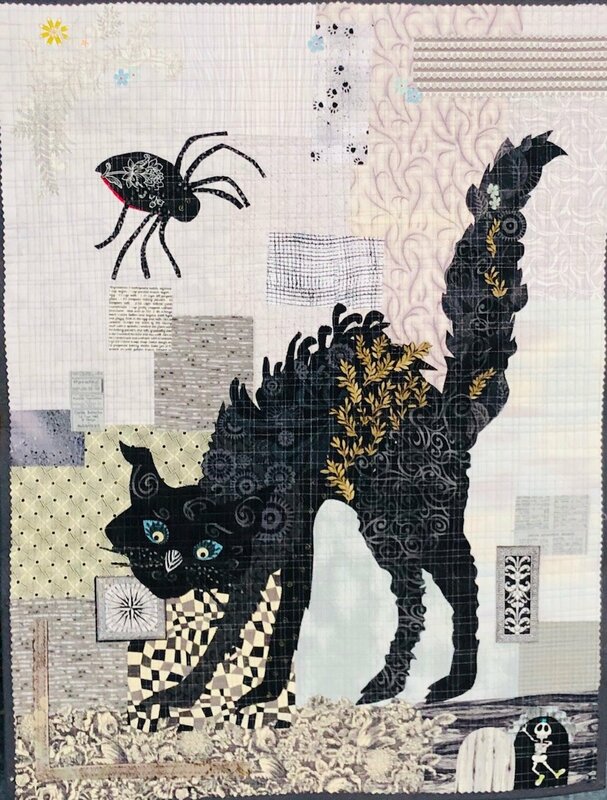 Join Martha DeLeonardis to explore the super-fun technique of Collage quilting. We will be using Laura Heine patterns. For your first project of this type, a smaller size project is recommended. Emerson the Dog; Hip Hop Rabbit; or the Black Cat patterns will be available for purchase. You may use a pattern that you have previously purchased. You will not need to bring a sewing machine to class.